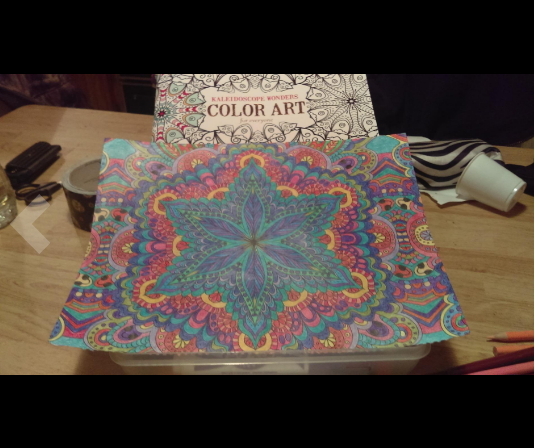 I really enjoyed this adult coloring book. 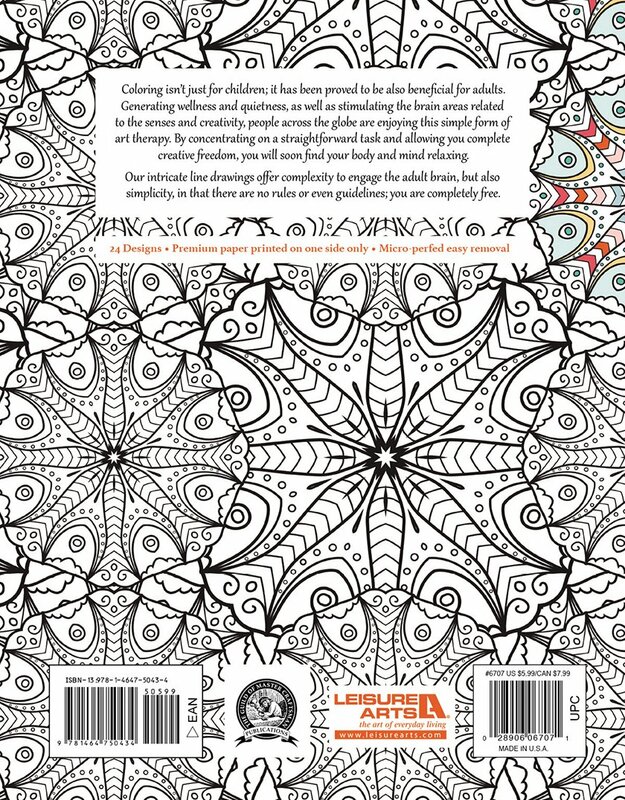 For those who love coloring patterns and geometric designs, it offers a nice alternative to the traditional mandalas. The images really are reminiscent of a kaleidoscope. 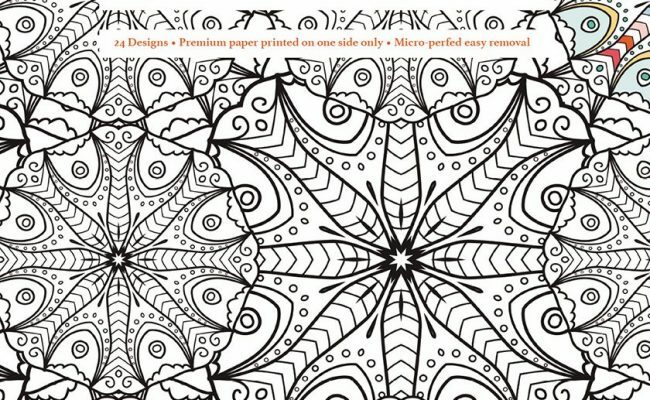 There are some centered mandala-like images and some wallpaper types. But the majority offer intriguing offset patterns that play with themes inspired by flowers, stars, butterflies, mosaics and others. 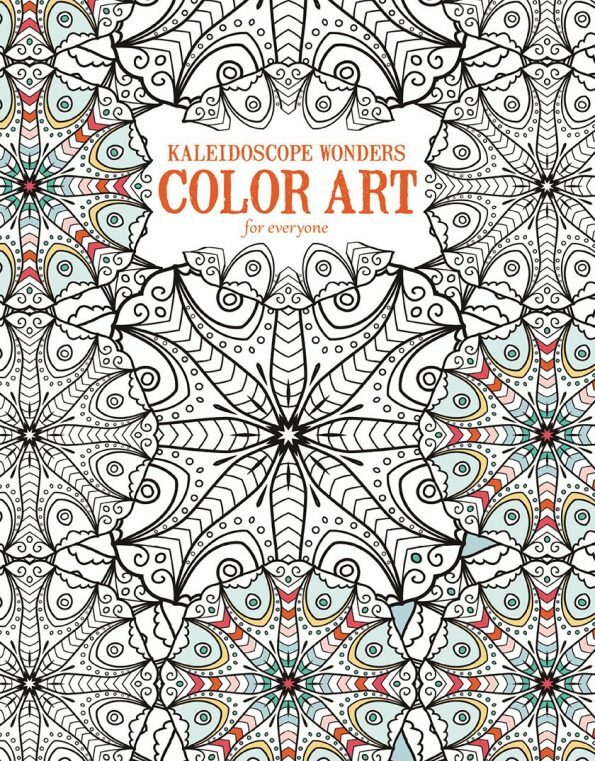 The 24 images are apparently licensed through Shutterstock, so they may not be unique to this coloring book, but considering the costs of buying license rights and good quality paper, the book offers a good value. Print quality is good, and there are plenty of small details to keep your mind focused. You'll definitely need some sharp pencils or fine-tipped markers. The pages are indeed of good quality paper. They are printed one image to a page and micro-perforated for easy removal. The paper may not prevent the heaviest of markers (like Sharpies) from bleeding through, but will work well with most art mediums. Anyway, you can always use a backing sheet or remove the pages before coloring (which is my personal preference). A minor complaint is that the perforations cut off about a quarter inch of the designs, which go all the way into the binding. But since these are repetitive designs by nature, it's rarely a problem that cuts off the image in an awkward way . At 8.5"x 10.875" the pages are just under the size of a standard (USA) sheet of paper. Actually, the nature of the designs and quality of the paper brings to mind other creative things to do with your finished pieces. You can make cards or gift tags; use cutouts in a scrap book or to make collages. Let your ideas run amok! A nice bonus is the introduction to working with colors at the front of the book. A color wheel is provided that teaches you about primary, secondary and tertiary colors. There's also a wonderful explanation of complimentary colors. Using colors within a family, accenting with complementary colors, understanding shades and tints, analogous colors, split complementary colors and more are all covered. It's a nice 1-page introduction or refresher to help you get beyond random filling-in of spaces and really begin to create works of art through the creative application of color. Similarly, inside the back cover are tips on shading and blending colors. 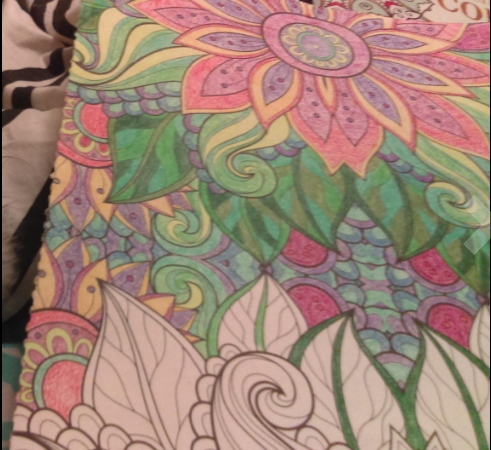 There are examples using colored pencils, markers and blending those two together. These two informative sections can be found in other book by Leisure Arts as well. 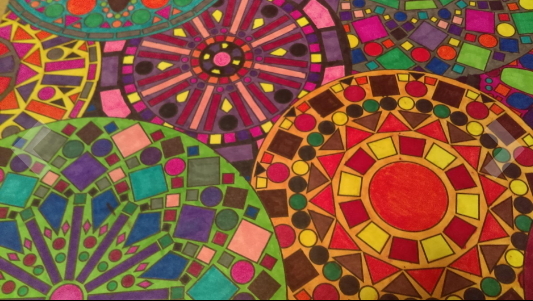 All in all, it's a nice addition to the geometric designs coloring genre. It's engaging and lovely without being overly taxing. The production quality is good. Treat yourself and get a copy.